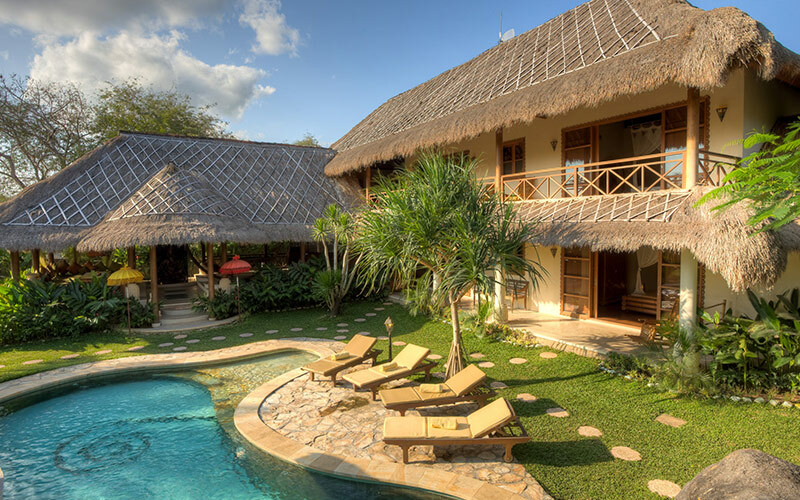 Beautiful exotic style property with all modern comfort. Quietly located beside river lined with bamboo, this large single storey villa is located only few minutes away from the beaches and busy Seminyak with its trendy places. A large open space facing the luxurious garden includes the living room, the dinning table and a modern kitchen. 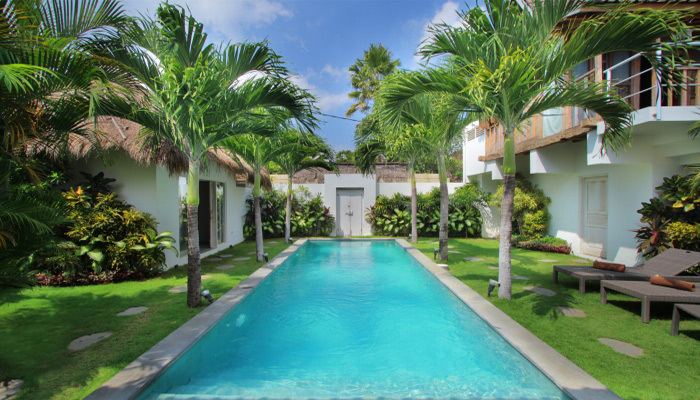 Four spacious bedrooms all with air conditioning and private bathrooms, are overlooking the swimming pool made in Balinese stone and surrounded by a wooden deck and tropical vegetation. One of the bedrooms was built near the gazebo next to the swimming pool. A private terrace available where discretion is guaranteed by a beautiful hibiscus hedge over 2 meters high. The finest materials is used (stone, solid wood) and the furniture combines tradition and comfort. The villa staffs (maid, gardener, security guard and pool guy) are there to pamper you. Your only concern is to enjoy your stay! You have review for Villa tabatha?